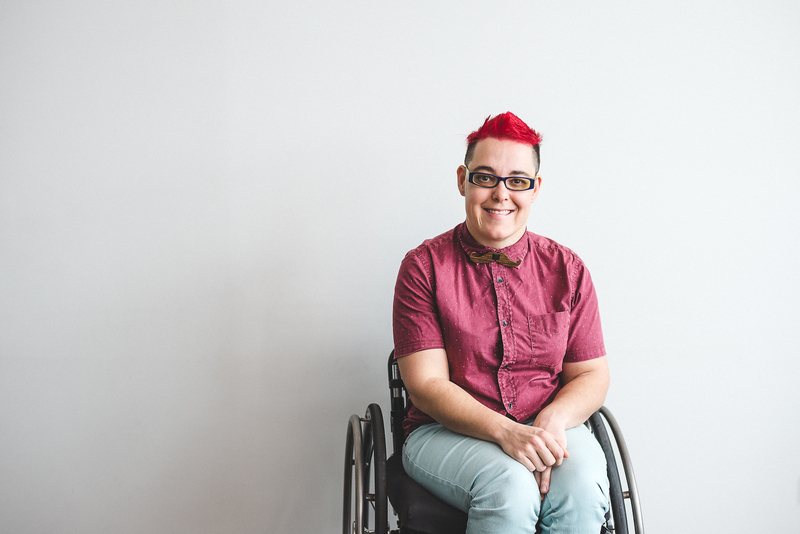 Jax Jacki Brown is a disability and LGBTIQ rights activist, writer, public speaker, access consultant and disability sexuality educator. She was named one of the twenty-five LGBTI people to watch in 2015, was recently appointed to the Victorian Ministerial Council on Women’s Equality, and sits on the Victorian Human Rights and Equal Opportunity Commission’s Disability Reference Group. Jax advocates proudly, boldly and loudly at the intersection of LGBTIQ and disability rights. Her work provides a powerful insight into the reasons why society needs to change, rather than people with disabilities.